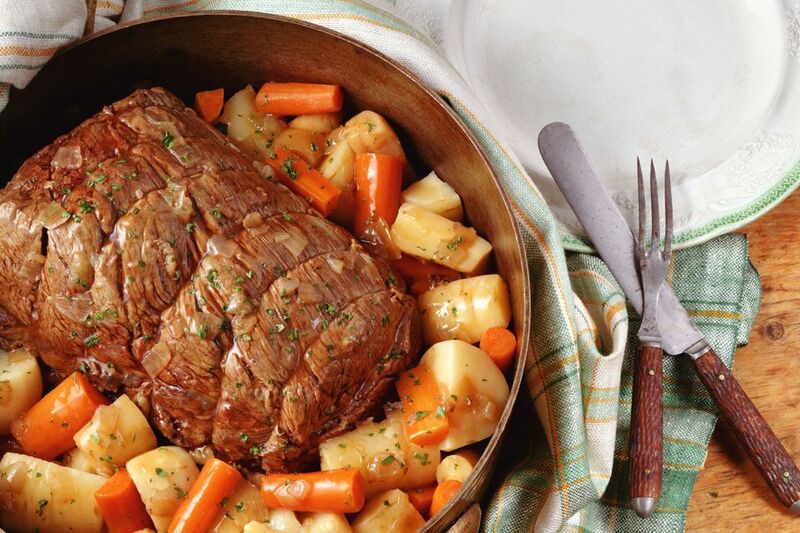 Despite its name, pot roast isn't actually roasted, it's braised. Braising is a form of moist-heat cooking that breaks down connective tissues in tough cuts of meat, leaving them tender and succulent. Braising by itself doesn't give meat the flavorful, brown outer crust that dry-heat cooking methods like roasting do, so we sear it on the stovetop first. For this recipe, you'll need a large Dutch oven or brazier — one that's big enough to accommodate the meat and stock, and safe for both stovetop and oven. Make sure it has a tight-fitting lid, too.